What does Daddy do with baby when Mommy is away? What does Daddy do with baby when Mommy is away? If you’re wondering what happens when you leave your child alone with your husband, then, mommies, you might learn a thing or two from this video. Emio is the father of baby Xavier and their family lives in Kansas City. Everytime his wife Stephanie comes home from work, she always asks what they did while she was away. Instead of narrating their activities, Emio decided to film their adventures and create an adorable time lapse video of their afternoon. No worries, Mommy Stephanie! It seems like both baby Xavier and Emio had fun! Xavier obviously enjoyed playtime with Daddy and didn’t even cry or throw a tantrum. What do you think of this video? Share your thoughts in the comment section and don’t forget to share this story with your friends! 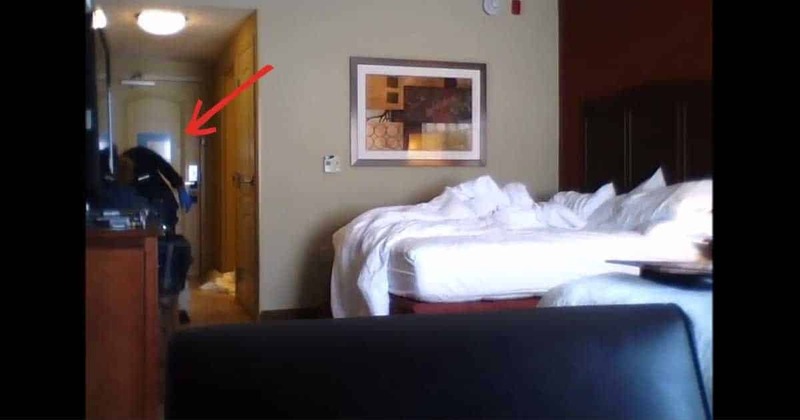 He Set Up A Hidden Camera In His Hotel Room. What He Discovered Was Absolutely Disturbing! She is not your ordinary grandmother. Some women in their late 50s are either looking forward to an early retirement, wanting to spend more time with their family or taking care of their grandchildren. There are also those who prefer travelling or completing their bucket lists. The 59-year-old-grandmother Yasmina Rossi has another way of living her life to the fullest. She was born in France in 1955 and raised on the island of Corsica. Rossi has become the envy of many because of her gorgeous, youthful and healthy physique. Her successful and still active career as a fashion model makes her one of the remarkable women today too. She has worked with famous international brands like Hermes, Macy's and Marks & Spencer to name a few. It doesn't end there, Rossi also happens to be a photographer and an advanced ceramist. Cool! This viral video is a testament that people still value people and relationships more than material possessions that have expiration dates. A tattooed man broke down into tears of happiness after seeing that his wife gave him something more special than what he expected: he is going to be a dad. The video went viral with more than two million views. People were so moved with the video it spread like wildfire across the Internet. Watch the bride cast a spell on her magician groom with just a kiss! A wedding is supposed to be a magical moment for the newlyweds. Who would have thought that out of the billions of people all over the world, there would be two people who would meet and start spending their lives together in a magical wedding? Well, today's newlywed couple did not just have a magical wedding, they even did magic tricks on their first dance! If you were not able to get enough of Justin Willman and Jillian Sipkins' version of Comedy Central's "Drunk History", you will definitely be blown away when Jillian casts a magic spell on her new husband on their first dance as husband and wife. They not only did a gravity-defying stunt, they also took wedding dances to a whole new level!